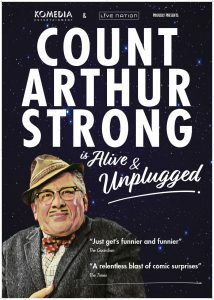 Home » Count Arthur Strong News » Count Arthur Strong is Alive & Unplugged. 2018 Tour announced. Komedia Entertainment is proud to announce a new tour from Count Arthur Strong.